O‘ahu used to be nearly twice as big as it is now. 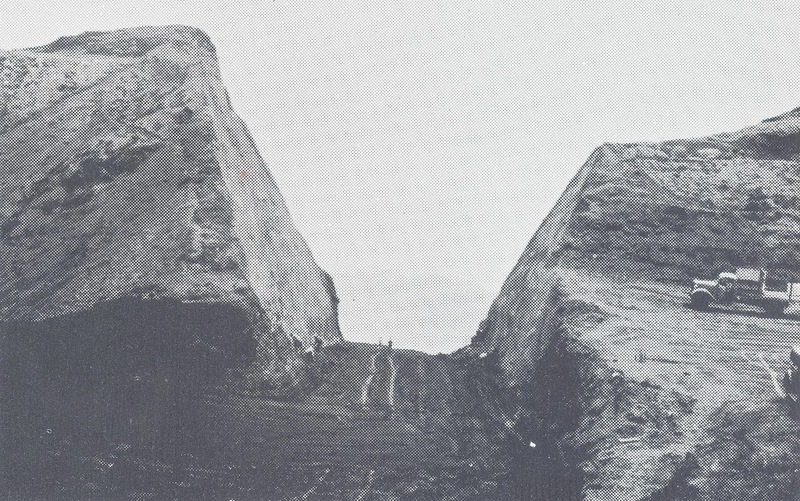 (Thompson) The Island consists of two major shield volcanoes: Waiʻanae and Koʻolau; the eroded remnants of which are the Waiʻanae Range and the Koʻolau Range. Waiʻanae is the older of the two (breaking the ocean surface ~3.9 to ~2.8 million-years ago) and makes up the western part of O‘ahu. Koʻolau volcano started as a seamount above the Hawaiian hotspot around 4-million years ago. It broke sea level some time prior to 2.9-million years ago. Koʻolaupoko, one of O‘ahu’s six ancient moku (districts,) is bounded by Kalaeoka‘ō‘io, which is a point near the center of the northeast coast at Kualoa; the crest of the Koʻolau Range to the west; and Makapuʻu Point on the southeastern tip of the island. This expanse also generally delineates the extent of Koʻolau Volcano – effectively from and including Kāne‘ohe to Kailua to Waimānalo. A significant landslide and ongoing erosion reshaped the volcano. 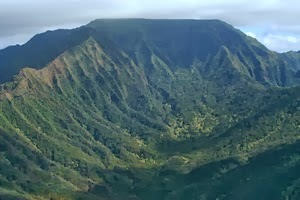 Residual ridges, remnants of the old Koʻolau volcano, extend northeast from the Pali. These include the Mokulua islands, Olomana, Kapaʻa (where the quarry is,) Mahinui (Oneawa, Kalaheo) and Keolu Hills. Pounded by the tradewind and rains, the windward side of O‘ahu is more weathered than the leeward areas of the island, and now this vast caldera wall is reduced to a line of sheer cliffs stretching from Makapuʻu to Kualoa and beyond. It was the broadness of this coastal plain (which included swampy areas near the shore) that distinguished Koʻolaupoko from other areas of O‘ahu, and most likely helped account for the intensity and productiveness of agriculture. Because Kāne’ohe Bay has a deep lagoon between an outer reef and the shore, the reef is considered by some geologists to be a barrier reef, the only example in Hawaii. Several fishponds lined the bay.